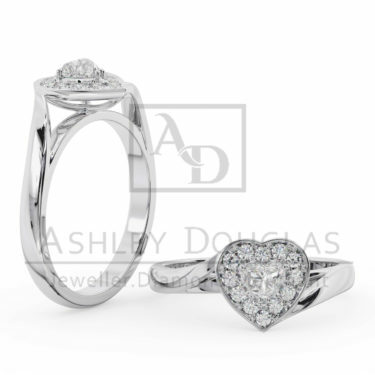 18ct white gold square halo ring set. 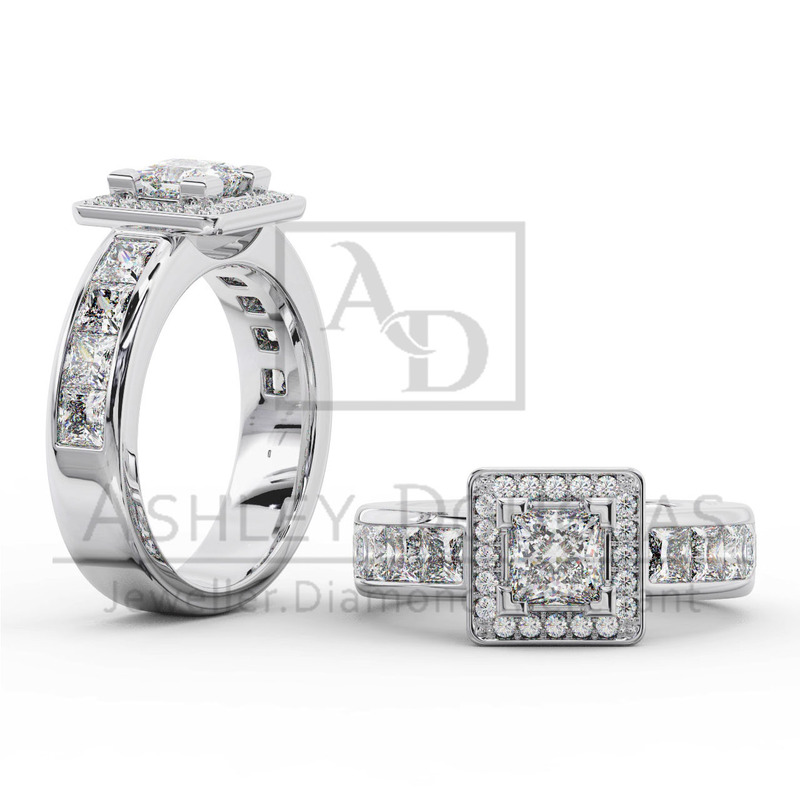 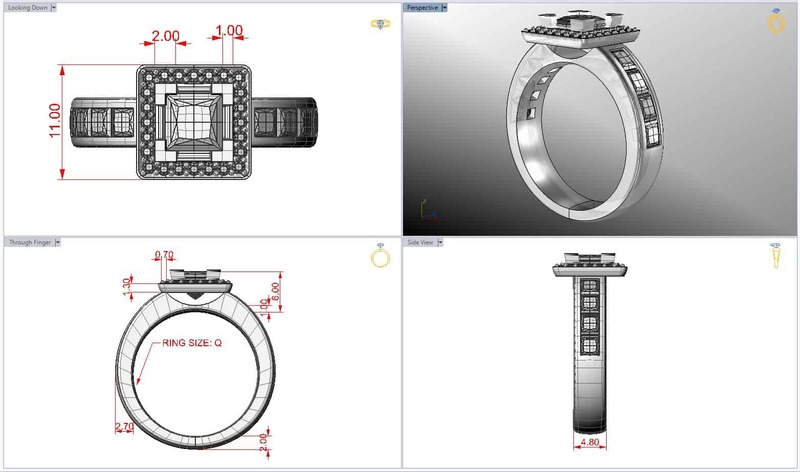 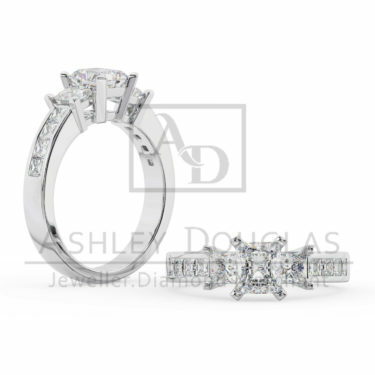 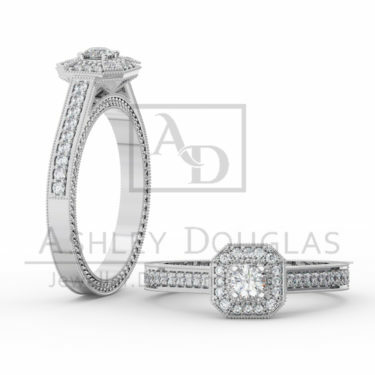 18ct white gold square halo ring set with a 1.05ct F SI1 princess cut diamond centre, surrounded by 24=.20cts F SI round brilliant cut diamonds in the halo and channel set in the band are 8=1.72cts F SI princess cut diamonds. 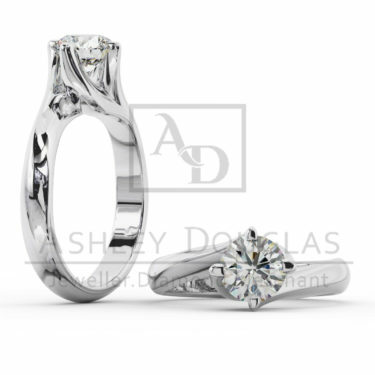 Total diamond weight 2.97cts.